Sigmund Freud was once asked in a lecture "What is needed for a successful life?" Surprisingly, he answered in only two words: "Lieben und Arbeiten." To give and receive love -- and to do work that is right for you. His words still resonate today. If we are not living our values or purpose or expressing our passion in meaningful ways, we will be living someone else's dream. Psychologist James Hollis encourages asking "Whose life am I living?" He says "the task of midlife is to find out who you really are and to claim your life." We need to ask ourselves, "Am I living the expectations of my parents, my spouse, or the organization I am working for?" When we are not living our lives in purposeful, meaningful ways we experience a sense of emptiness, loss and often wonder if we are missing the point of our existence. Hollis cautions us: "If our work does not support our soul, then the soul will extract its butcher's bill elsewhere. Wherever the soul's agenda is not served, some pathology will surface in everyday life." Symptoms often include low grade depression, workaholism, obsession with material wealth, or loss of energy, to name a few. When we try to escape these feelings, we develop such diversionary habits as drug or alcohol abuse, over eating, addiction to television, the internet, or even affairs, each offering a fleeting respite from the emptiness. But no matter the diversion, the symptoms will recur unless we make changes that will bring authentic happiness and satisfaction to our work and lives. Two of the most striking predictors of a person's longevity can be found in the answers to two questions, says Nortin Hadler, MD at UNC's Medical School: "Do I like what I do? and "Do I have a satisfying social support network?" Meaningful work and satisfying relationship are crucial to health and happiness. So how do we answer these questions affirmatively? How can we use the messages of our emotions or body to guide us to the richer, fuller and happier lives that are our birthright? Psychologist Erik Erickson highlights two essential tasks for adulthood and mid life: Intimacy and Generativity. According to Erickson, intimacy is the ability to share and confide, to give and receive feedback, and to accept our selves and others. The relationship we have with our self is mirrored in the relationships we have with family, co-workers and friends. We need to be able to form intimate and healthy relationships in our 20s and onward. With healthy and supportive relationships, we are better equipped to address generativity, the essence of midlife. Generativity (versus stagnation) is simply a focus toward making the world a better place than when you found it. It can occur in some small way, like planting a tree or coaching your child's soccer team - or it can appear in grander acts of volunteerism and philanthropy. Whatever mark you make is based on self awareness and self acceptance. It requires knowledge of your strengths and weaknesses, responsibility for your behaviors, and a connection to your passion, which enables you to express your gifts in unique and meaningful ways. Unleashing your passion sometimes takes a therapist or a coach - other times workshops, reading, journaling, or Dream Work can help you claim your life. It doesn't matter how you get there as long as become more fully aware of what you are in service to the community and world around you. This is the essence of health and happiness in mid-life. 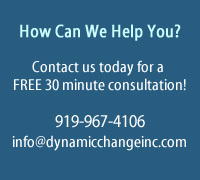 Peter Metzner is President of Dynamic Change, Inc. in Chapel Hill, NC., which specializes in personal and executive coaching, facilitation and consulting services that provide individuals, leaders and teams insight and tools that lead toward greater clarity of purpose and mission. 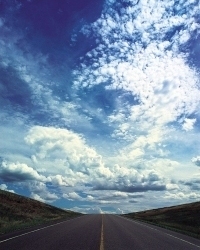 As a Associate Coach for MeaningfulCareers.com, he utilizes Dream Work to awaken greater self awareness in our clients.